The encouragement of the breeding and improvement of the British and other breeds of sheep in Australia and the maintenance of the purity and type of each of such breeds. The compilation and publication of a Flock Book as evidence of the Flock Register on which Flock Histories are maintained. The investigation of the histories, pedigrees, purity of type of sheep registered or entered for registration. When you purchase sheep registered in the Australian Flock Register, you will be invited to join the Australian Stud Sheep Breeders Association Ltd. Membership will give you access to the Society-sponsored shows and sales and will enable you to make use of the Society's records of flocks, breeding, recording of pedigrees etc. 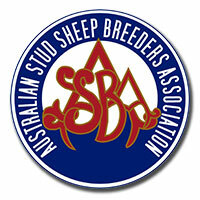 Application for membership is lodged with the Federal Secretary of The Australian Stud Sheep Breeders Association Federal Council, from where it then goes to the Federal Board for consideration. When your application is made, you will be required to give information regarding the sheep you have purchased, and also to apply for a Stud Prefix, the name by which your Stud will be known.